November 15, 2017 — Dental treatment may significantly lower the blood pressure of patients at risk for heart disease, a new study has found. Patients with prehypertension who received scaling and root planing ultimately had blood pressure that measured more than 10 points lower than those who did not. This was the first time a study linked intensive periodontal treatment alone to reduced blood pressure levels, according to the researchers, led by Jun Tao, MD, PhD, from the First Affiliated Hospital of Sun Yat-sen University in Guangzhou, China. They presented their groundbreaking findings at this week’s American Heart Association (AHA) 2017 annual meeting in Anaheim, CA. “Something as basic as periodontal care may be able to reduce the risk of future high blood pressure and cardiovascular events,” stated AHA spokeperson Richard Becker, MD, a professor and the director of the division of cardiovascular health and diseases at the University of Cincinnati College of Medicine and director of the university’s Heart, Lung, & Vascular Institute, in a press release that accompanied the study. Multiple studies have previously linked periodontal disease with cardiovascular disease, but fewer have investigated a direct relationship. Therefore, Dr. Tao and colleagues explored whether intensive treatment for periodontal disease alone could ultimately have an effect on blood pressure. To find out, they conducted a single-blind randomized clinical trial with 107 Chinese adult patients. All patients had prehypertension and moderate to severe periodontal disease. At the beginning of the trial, the patients were split into two randomized groups. 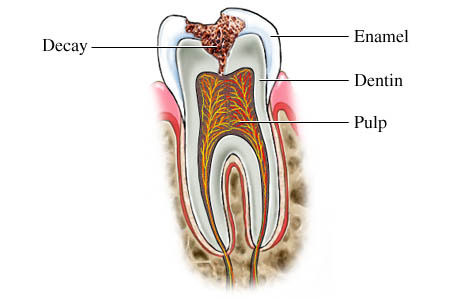 The control group received four weeks of basic dental care, which included oral hygiene instructions and tooth scaling above the gum line, while the intervention group received four weeks of intensive periodontal treatment, which included scaling and root planing, antibiotic treatment, and extractions when necessary. Those with intensive periodontal treatment showed significantly lower systolic blood pressure beginning one month after treatment. 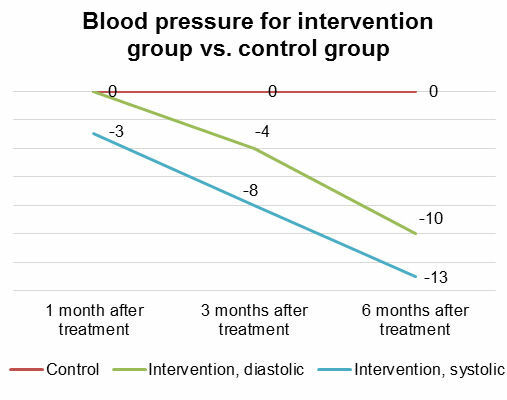 By six months after treatment, the intervention group had systolic blood pressure that was nearly 13 points lower and diastolic blood pressure that was nearly 10 points lower than the control group’s. “The present study demonstrates for the first time that intensive periodontal intervention alone can reduce blood pressure levels, inhibit inflammation, and improve endothelial function,” stated Dr. Tao in the press release. The researchers cautioned that additional research is needed, including with patients from diverse backgrounds. Nevertheless, the study is important because it demonstrates a direct relationship between periodontal treatment as an intervention and improved blood pressure. As a result, periodontal treatment in combination with other proven steps to treat and prevent heart disease, including exercise and diet, could improve the health of millions, Dr. Becker noted. “A combination of things that are readily available to people could, in fact, have a major impact on health both in the United States and throughout the world,” he stated. The month of November is National Diabetes Month. Did you know that over 29 million Americans have been diagnosed with diabetes? It’s true. And it’s predicted that the total number of people who have diabetes, but have yet to be diagnosed, is somewhere between eight and nine million people. That’s a lot of people. But why are we talking about diabetes, here, on Dr. Manhart’s blog? Because, while diabetes can be such a detrimental disease to the body, it can also put a person at a higher risk for dental disease. Gum disease is an inherent problem for someone with diabetes. High blood sugars can contribute to gingivitis or the more severe, and considerably more detrimental, Periodontal Disease. Early signs of gum disease are bleeding gums and bad breath. Early stage gum disease can be reversed with a regular routine of brushing and flossing, and a change in diet. But it’s best, especially when a person suffers from diabetes, to visit Dr. Manhart when gum disease is apparent. If gum disease isn’t immediately dealt with, and the complications of diabetes cause the symptoms to be more severe, to progress at a faster pace, a person’s teeth could fall out, and damage could be done to the bone surrounding the teeth. Dry mouth is a common symptom for a diabetic. That’s why it’s important to keep hydrated—and that tip applies to everyone—because saliva helps to wash away the food debris. If bacteria are allowed to thrive in the mouth, then so, too, could gum disease flare up. Because Diabetes has such a detrimental effect on your body’s immune system, infections within the mouth can occur. One such condition, called thrush, is common for diabetics. Thrush is a yeast infection caused when yeast thrives on the higher amounts of sugar in a person’s saliva. It manifests in the mouth as a white coating on the tongue and cheeks. Diabetes has become a chronic problem—the sheer number, in millions, of people both diagnosed and undiagnosed is staggering. If you suffer complications from the disease then make an appointment to see Dr. Manhart. Remember, it’s easier to manage oral health than to treat a chronic problem.